Have you seen the new swing set located in the back playground? This was a gift from you - all of you that supported our Boosterthon fundraiser last year. Thank you! Wondering where the other fundraising money was spent last year? Click here for more information. Thank you for all of your support! We look forward to another successful year in 2018-2019! 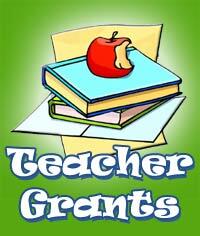 New this year, the PTO established the Teacher Grant Program. The Committee reviewed 17 applications and was able to approve 14 of them, totaling approximately $5000. Money raised from the Giant A+ program and Fun Run helped fund most of the grants. Thank you for supporting our fundraisers! The teachers are excited to receive their new learning materials. Please click here to see the list of items needed for the Angel Network's Annual Thanksgiving Food Drive. Thank you for any help you can give! The school year is flying by and its already time to plan for the Teacher Appreciation Lunches! Every Fall and Spring the Macungie PTO hosts lunches for the staff at Macungie Elementary School during conferences. This Fall the conference dates are November 16 (long day), 17, 20 and 21. Simply click here to see a list of items needed by day. The donations should be sent with your child or dropped off to the office by 9:00am. Gift cards to Giant/Weis are especially appreciated and can be donated at any time. We also need parents to help set up and check in during lunchtime to replenish/refresh food. Thank you for your time and generosity. We are very grateful for any donations provided! All students are invited to enter an original drawing that represents our school for this year's yearbook cover. There will be two winners: one for the front cover and one for the back cover. See the handout for more details. Entries are due Thursday, November 9. Also, please submit any pictures you have taken on school grounds for the yearbook. We are in need of photos from class parties, school events, candids, etc. Visit. www.ReplayIt.com or use the ReplayIt app. See the flyer for more details. Contact Laura Vargo or Amanda Gleason with any questions. Thank you everyone for your overwhelming donations of Halloween costumes. If the need arises that we need more we will send out another notice, however for now we have enough. Thank you again for your support of the Angel Network! The Angel Network is looking for new and used Halloween costumes in a variety of sizes for those who do not have one. Please drop off your donation in the office. Please stay tuned for November news coming soon. We will be collecting food items for Thanksgiving. We appreciate all your support! DonorsChoose.org has accepted a request from our own Mrs. Shutte in second grade! Now all she needs is our help. Please consider donating money for iPads - its tax deductible. DonorsChoose.org vets all requests, purchases the items (from donated funds) and ships materials directly to verified schools. Thank you for your consideration! Thank you to Danae Murphy for volunteering to be the Teachers Workroom Coordinator! Please contact her at danaemurphy@hotmail.com if you are interested in helping in the workroom. Also, thank you to Kristen Leipert for volunteering as the Library Coordinator! She is especially looking for help on Day 1 in the library, but can use help any time. You can reach her at kleipert@gmail.com. We are still looking for a Teachers Workroom Coordinator, as well as volunteers to help the teachers perform these tasks that do not fit into their busy schedules. The tasks are easy, but take time - sharpening pencils, tracing letters, cutting shapes, assembling book orders, etc. Clearances are needed. Please comment below or contact Shana at shanarPTO@gmail.com if you are interested or have questions. Are you already shopping for back-to-school items? Then you may want to check out a stylish backpack we have for you! For just $20 your child can sport Macungie Elementary Pride! We are currently offering discounts if you purchase two or more backpacks within the same family. Please email shanarPTO@gmail.com if you are interested. We will also have them at Kindergarten Orientation which is on August 16th in the school entry way during the hours of 10:30am-1:30pm if you would like to come see them. This item will be sold in the online store when it opens to make shopping convenient. This backpack is 12w x 15h in size. Thank you for visiting our new website! Here you will find information about current news happening with the PTO.